Below are a few items we have lying around that you just might not be able to live without. Shipping charges are US rates. Contact me for International rates or about combined shipping for multiple items. 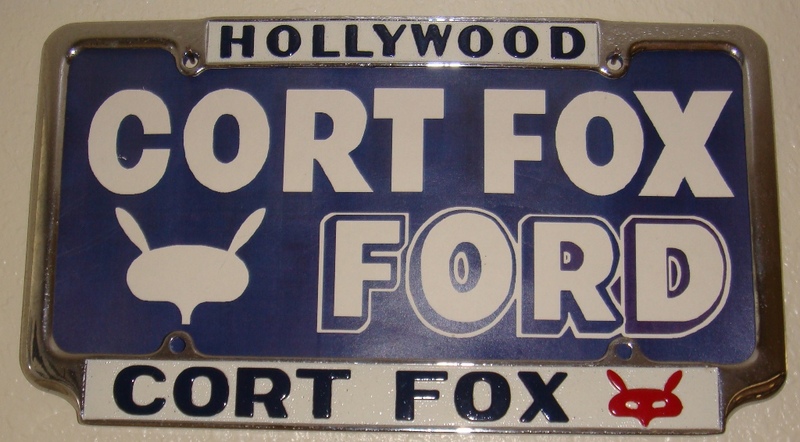 Cort Fox Ford License Plate Frame - $400 This is an original license plate frame from Cort Fox Ford in Hollywood, California. The frame has been re-chromed and repainted and is in pretty nice shape. 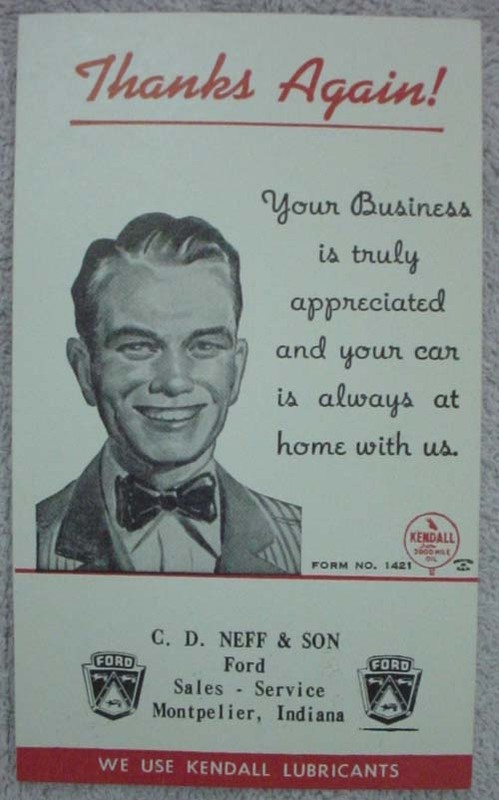 For more information about Uncle Cort's dealership, see this historical write up by Tim Roden. 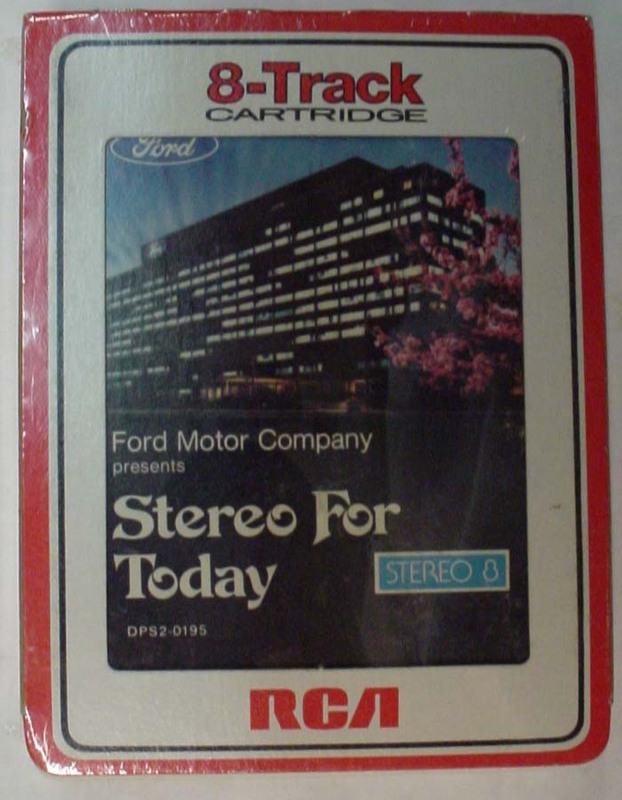 1971 8 Track Tape Demonstrator - $69 An original 8 track demonstrator tape still factory sealed with the unique 'RCA' strip. C5AZ 19E500-D Reflector Kit - $600 This is a NOS reflector kit sold by Ford dealers in the mid '60s. A nice little item for your trunk at the next show. 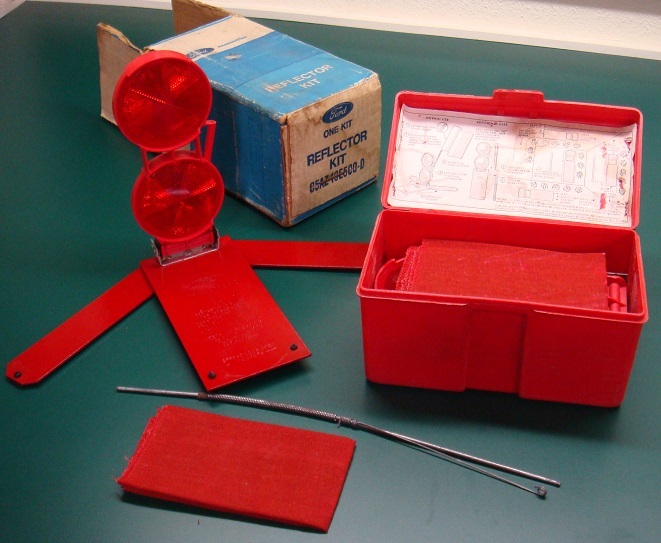 The kit contains three reflector assemblies. 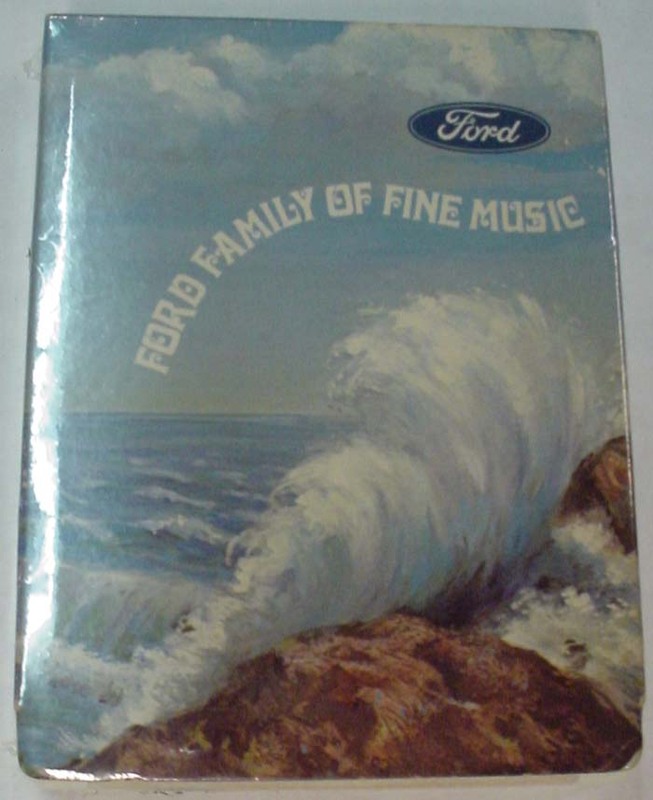 Vintage AMF Wen Mac Ford Mustang .049 Gas Engine Control Line Kit - $150 If you have one of the AMF Ford promos that Ford sold in 1966 and 1967, you'll note that inside was a coupon to send away for a gas powered kit. 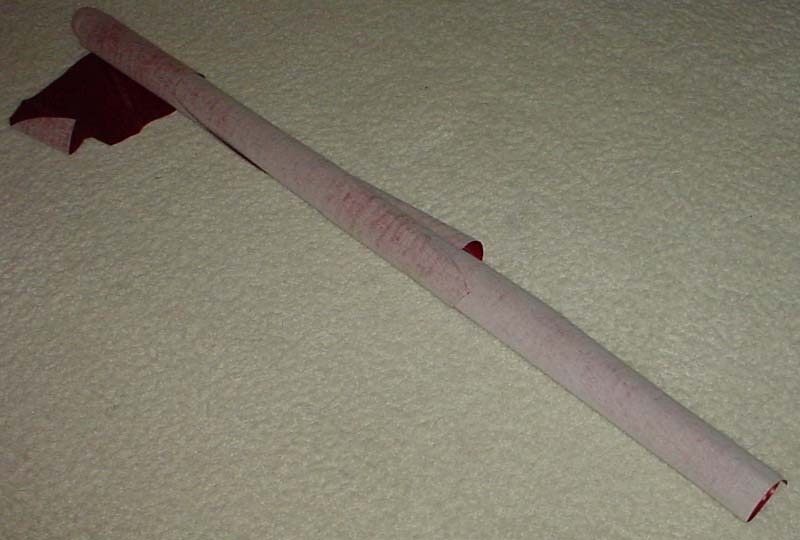 If you did that, this is what you'd get. 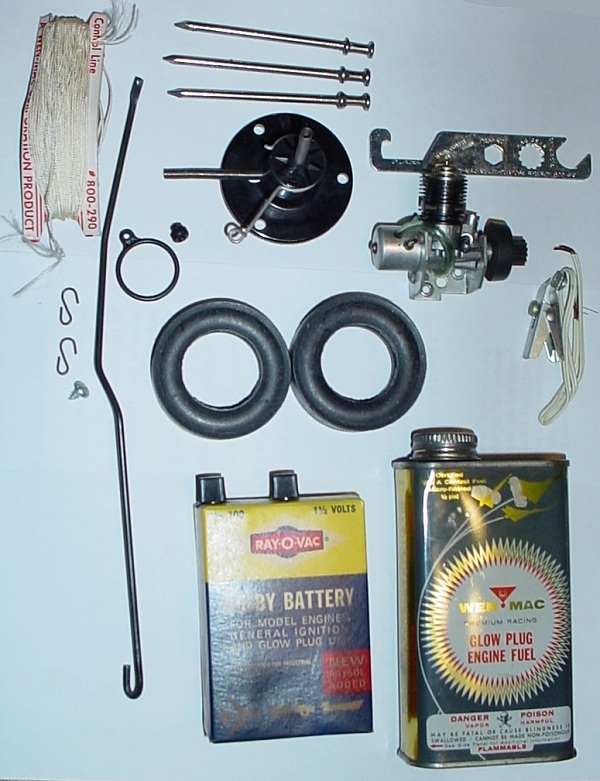 A gas engine, two slicks, a base pedestal with nails to hold it down, a control rod, string, 'S' hooks, a bezel where the string goes through the body, finger loop to control the throttle, a screw to hold the front wheels straight, a gas can, fuel, battery, glow-plug wrench, clip with wire to start the engine, and the instructions. The fuel can is empty and yes, the battery is deader than a doughnut. A copy of the instructions will be included. Your choice, either a fairly nice '66 version, or a pretty lousy '67 version. 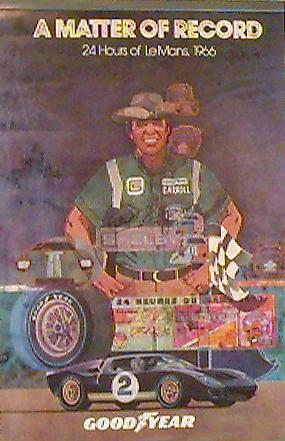 Carroll Shelby Poster "A Matter Of Record - 24 Hours of LeMans 1966" - $50 An original poster from the record 1966 season for Carroll Shelby and the Ford GT. A very cool poster and one that any serious fan should have on his wall. The back of the poster has a short history of the race. Original 1967 red upholstery material - 75 This is about ten yards of the original material used on '67 Fords. It's very unique in that it has a sort of metal-flake look to it and is much brighter and has more of an orange tint to it. It's far superior to the reproduction stuff. So if you're the fussy sort, you'll be wanting this. You can see a comparrison here. 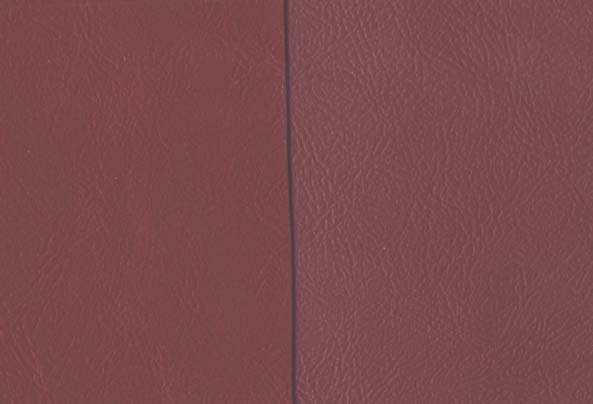 The original material is on the left. 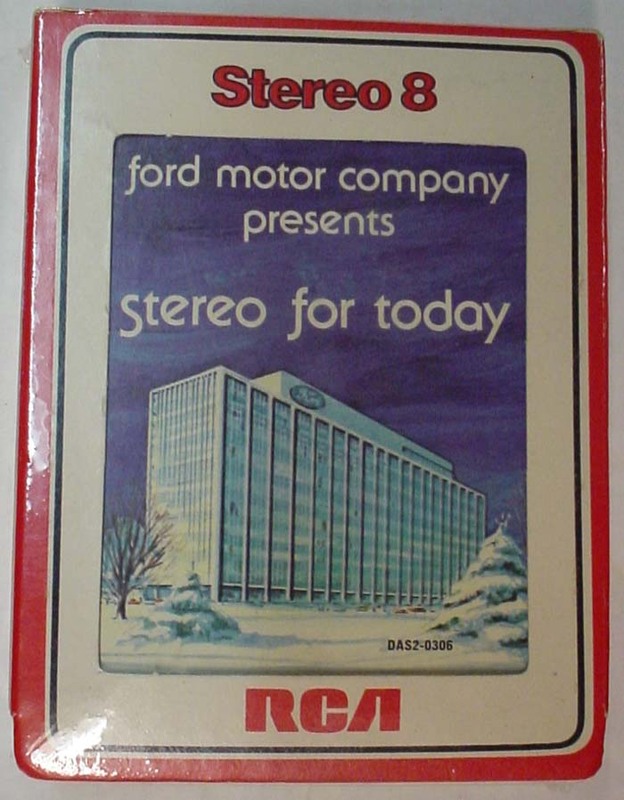 1973 8 Track Tape Demonstrator - $49 An original 8 track demonstrator tape. 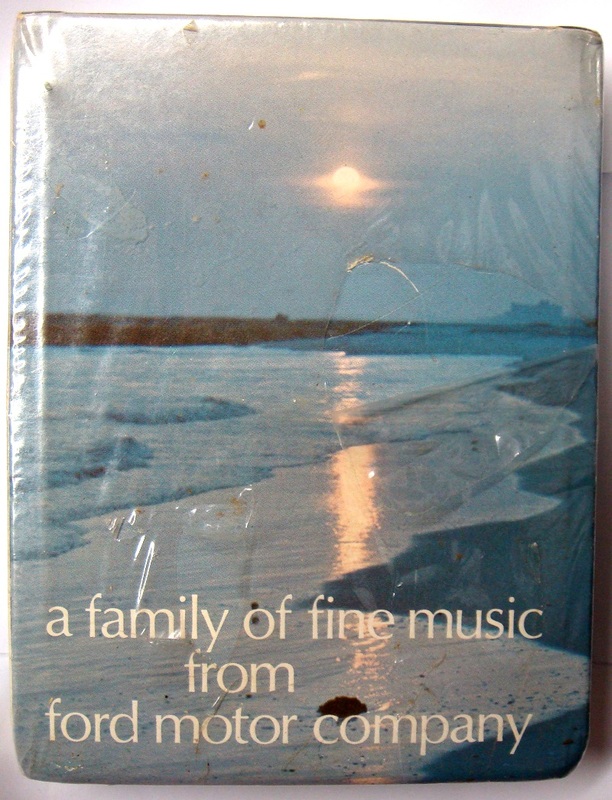 The tape is still sealed though the shrink-wrap is loose. 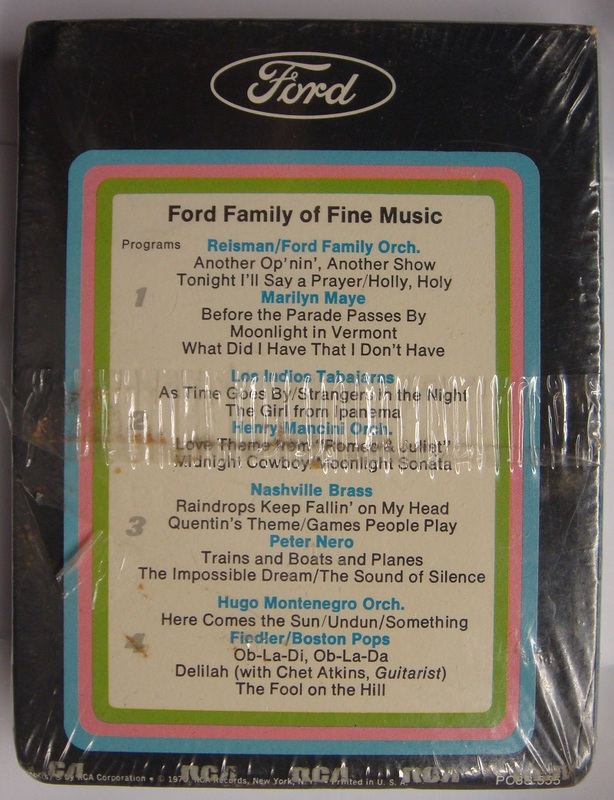 1974 8 Track Tape Demonstrator - $39 An original 8 track demonstrator tape. The tape is still sealed. 1977 8 Track Tape Demonstrator - $39 An original 8 track demonstrator tape. The tape is still sealed. 1979 8 Track Tape Demonstrator - $39 An original 8 track demonstrator tape. 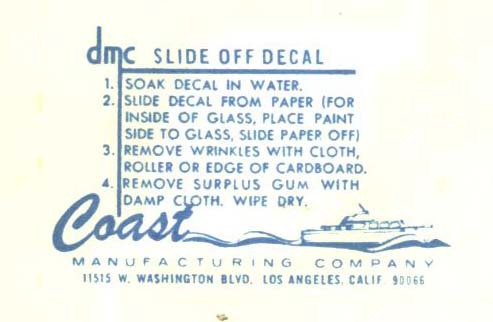 The tape is still sealed. 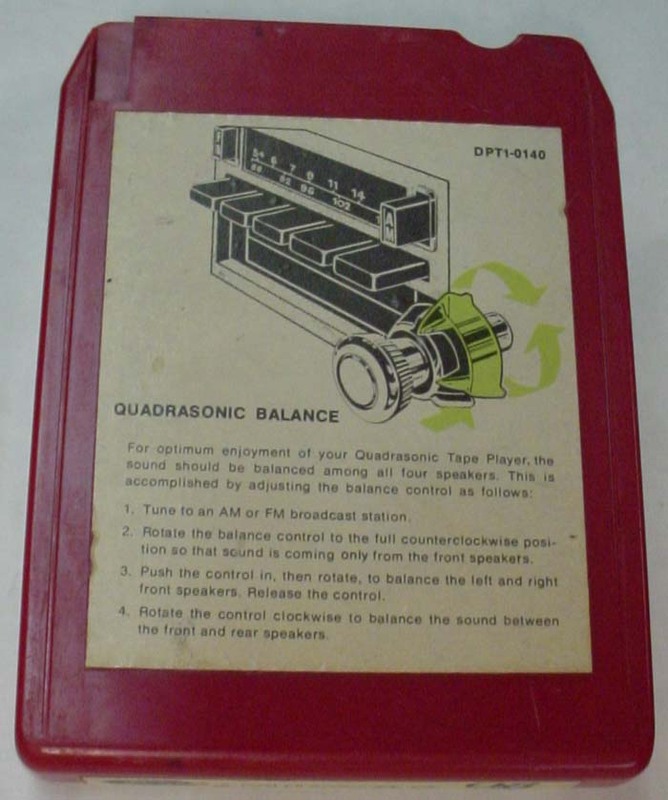 1976 Quadrasonic Tape Demonstrator - $29 An original quadrasonic demonstrator tape. The box and tape are in fairly nice shape. 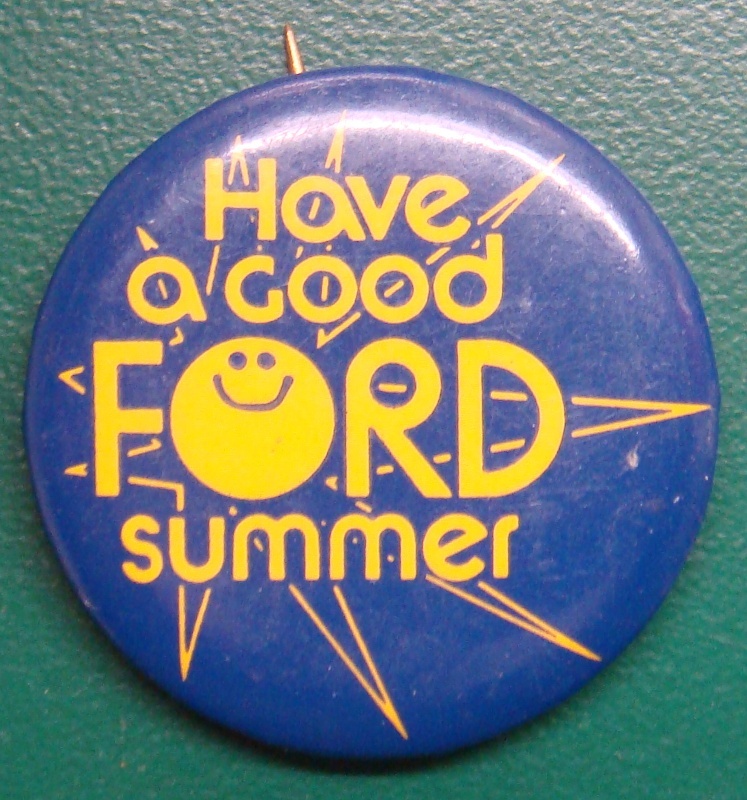 Have a Good Ford Summer Button - $10 This is from the 1973 "Have a Good Ford Summer" advertizing campaign. It's a small pin-back button about an inch in diameter. 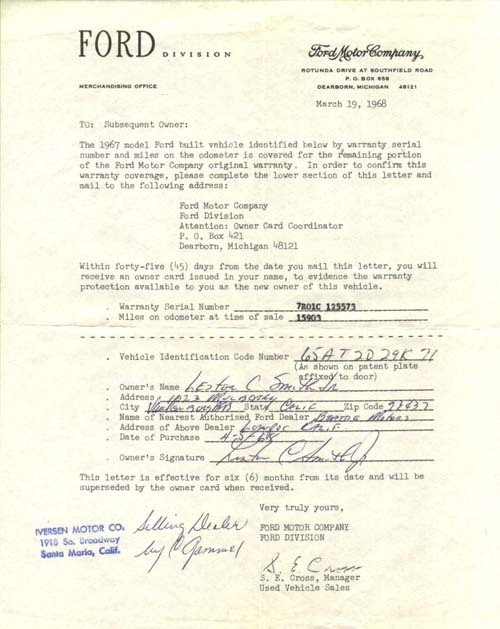 1967 Ford Used Car Warranty Letter - $10 An original letter from the Ford Motor Company explaining the remaining warranty coverage for a buyer of a used '67 Mustang purchased by Lester C. Smith at Iversen Motor Company in Santa Maria, California. The letter explains that the new owner is still covered for the remaining period of the factory warranty. 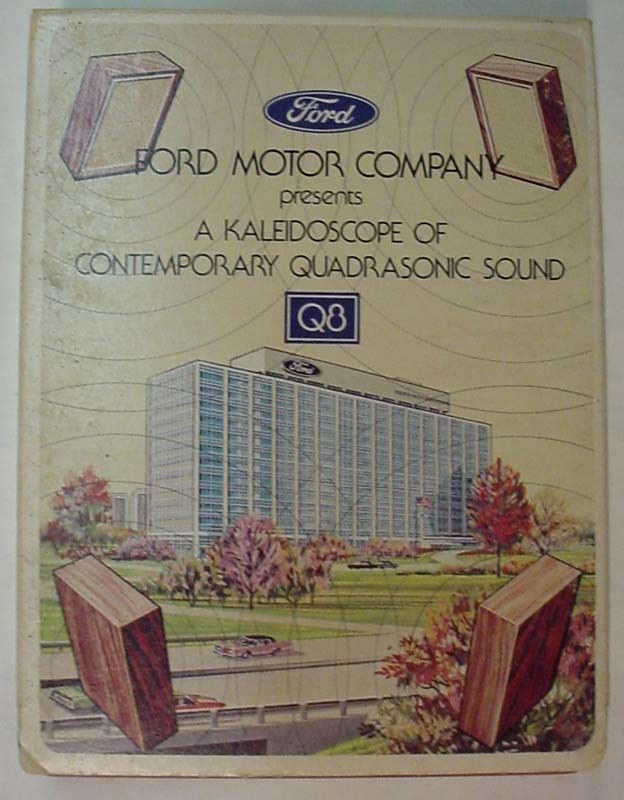 It's a neat bit of Ford history and would be especially desired by Lester Smith or whoever now owns a Candyapple Red '67 coupe with the serial number 7R01C 125573. 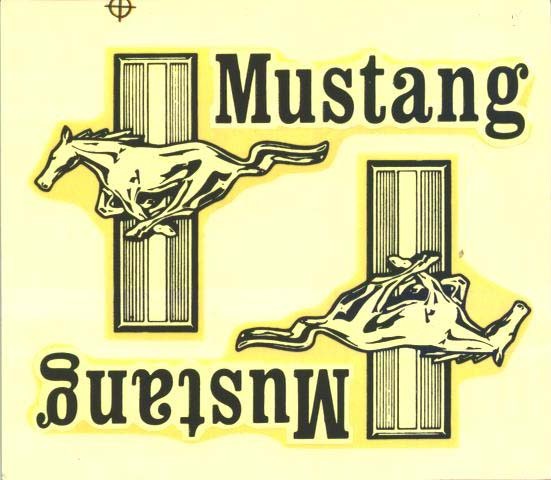 Mustang Decal - $8 Beats me what these were for but they're from the Coast Manufacturing Company and the overall size is 5.5 by 5 inches. 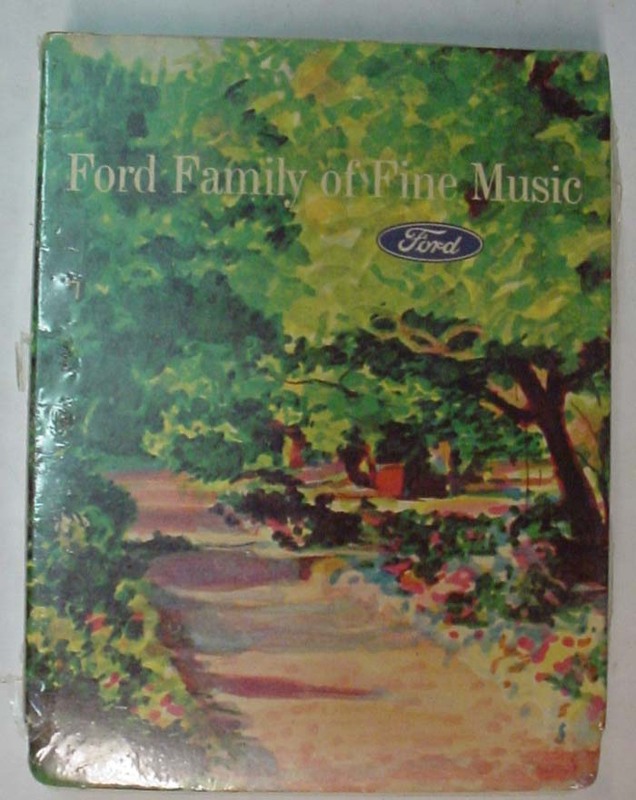 Ford 'Thanks Again!' Card - $10 These were left on the dashpad or console to say thanks for bringing your car in for service.